This is where it all begins. Each pharmacy we’ve served comes to us with different needs. Some find that their retail sales floor hums like a well-oiled machine but that their pharmacy workflow is lacking. Some pharmacies are a model of efficiency on the backend but find something’s still missing in their customer experience. Others feel they have so many problems to solve that they can’t even pick a place to start. So begin by figuring out your motivation. 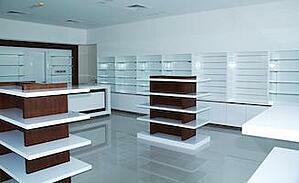 The old axiom “Measure twice, cut once” applies in pharmacy design planning. It’s not uncommon — in fact, it’s suggested — to spend as long or longer planning your renovation as we’re actually spending on the project itself. Doing so will limit your downtime, cut down on the chances of lost revenue, and ensure a quicker ROI. Your how, in other words, is every bit as important as your why. Layout and design are often used interchangeably, but they’re two very different things. 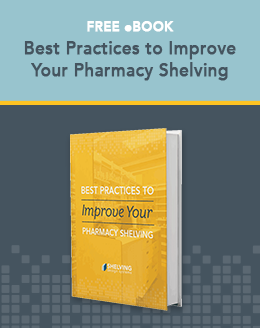 Layout is the physical placement of different elements — workstations, shelving, point-of-sale, and much more — in your pharmacy’s space. A carefully-planned layout increases efficiency, facilitates customer interaction, boosts sales, and can even improve patient outcomes. If layout considers what goes where, design considers the look and feel of the finished product. Lighting, signage, POS and POP displays, carpeting, and colorways are all key design elements that should not be neglected; they play an outsize role in customer experience, and can influence worker morale as well. Trends and buzzwords come and go. One thing that we’ve never seen fail in a pharmacy setting is inclusivity. No pharmacy has a homogeneous clientele. Pharmacy customers come from every demographic imaginable, and while you cannot micro target every last one of those demographics, there are a few simple design principles to follow that can make your septuagenarian regular customer and her five-year-old grandson feel equally at home. One thing many pharmacies find useful is embracing Universal Design, a school of thought that goes beyond ADA compliance to make spaces accessible to all, regardless of age or ability. That means an accessible entrance, plenty of room to walk (or wheel) around, bright lighting, and ample comfortable seating in waiting areas. But we’d suggest going further still. Adjust your merchandise mix to meet the needs of your clients — knowing and understanding your clientele really matters here — and make adjustments to your branding and visual merchandising to make both more reflective of the community you serve. For help addressing that, or any other item on this list, we invite you to enlist the expert help of Shelving Design Systems.